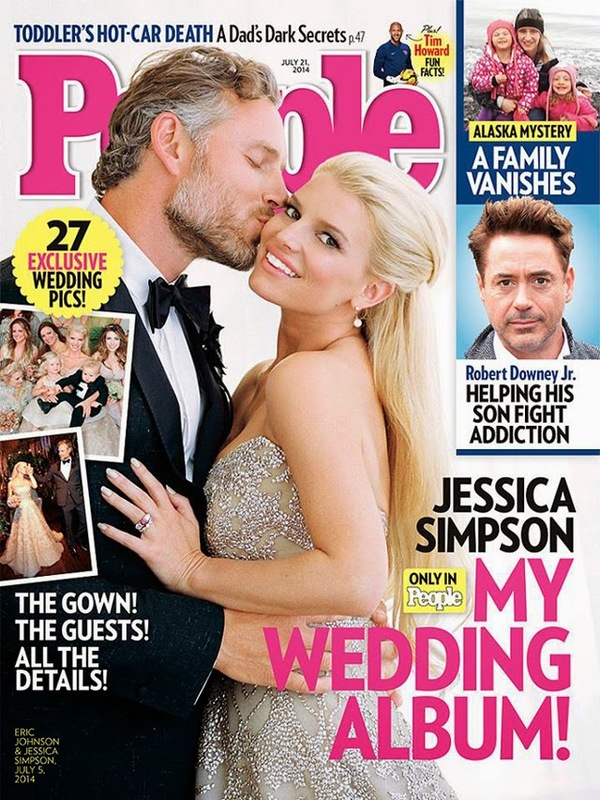 We have a feeling People Magazine may have a bestselling issue on their hands this week with the exclusive release of Jessica Simpson's wedding photos. Apparently the magazine has 27 images to share, all the info on the dress, the rings and the bridal party, as well as anything else you'd want to know about Jessica Simpson's second wedding. What we know so far is that the bride wore a custom-made golden Carolina Herrera dress and the groom wore John Varvatos, there were 11 groomsmen and 12 bridesmaids for the big day, oh, and Joe Simpson married the two. Interesting. Over 275 people gathered in Montecito to watch the ceremony take place, the day after the big Fourth of July celebration, and it looks like it was quite the show. There are rumors spreading that the wedding cost north of $1.4 million. Wonder if People's purchasing of the photo rights took care of the cost and then some? So this Friday, make a dash to the newsstands. We'll meet you there.